As WCV’s Communications Director, Nick focuses on media outreach, strategic messaging, and political strategy. Prior to WCV, Nick was a longtime Sightline Institute researcher, editor of the grant funded watchdog project Oil Check Northwest, and organizer of sustainability communications for clients like Starbucks, Bainbridge Graduate Institute, and Puget Sound Energy. Nick is Midwest born (go Huskers!) but Washington raised and has a dual degree in Economics and Environmental Studies from Western Washington University. When not at his desk you’ll find Nick exploring the waters of the Salish Sea, eating plenty gumbo, and relearning to ride his bike without training wheels. Paul is the Donor Relations Director for WCV. 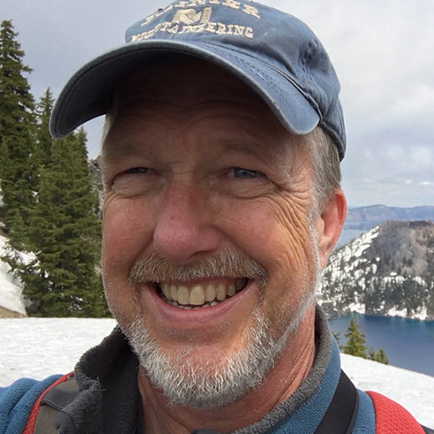 He has been working in the Northwest environmental movement for over eighteen years, and began his nonprofit career fundraising for the groundbreaking Cascades Conservation Partnership campaign for Conservation Northwest. His prior nonprofit experience includes positions with National Parks Conservation Association and Woodland Park Zoo. 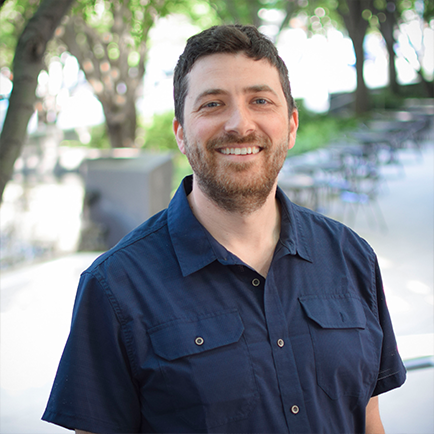 Earlier in his career, Paul worked in software technical sales and product marketing for Microsoft, and “way back when” he even spent several years in the exciting world of public accounting (which included passing the CPA exam). When he’s not at work, Paul likes to spend time with his dog, volunteer for wildlife surveys, hike, cross country ski, paddleboard, and play guitar. Trivia: his favorite Northwest animal is the wolverine! Lennon is the Political Director for Washington Conservation Voters. Lennon is from Sumas, WA and graduated from St. Martin’s University with a B.A. in Political Science. After college he spent time raising funds for the DNC in Denver and then moved to San Francisco to work with MoveOn.org to win back the Senate in 2006. Lennon then worked for the John Edwards presidential campaign in Iowa and Nevada before moving back to Washington. Most recently Lennon served as the Finance Director for Washington United for Marriage and Yes on 522. In his free time you’ll find Lennon with his wife Marissa and friends, skiing, running, or spending time near the water. Joan is the Chief Executive Officer of both Washington Conservation Voters and its close partner, Washington Environmental Council, lending her experience as a long-time leader in Washington’s environmental community to both organizations. Joan has served as Executive Director since 1995 and was instrumental in developing the now nationally-recognized Environmental Priorities Coalition— a successful collaborative of over 20 environmental groups. Joan is often sought out for her insight and judgment on environmental issues by state policy makers, other advocacy groups, and foundations. Her guidance and vision have helped WEC combine its 40 years of experience with innovative strategies resulting in strong environmental protections for Washington state. 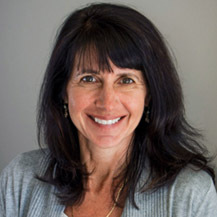 Joan has a bachelor’s degree in chemistry from Middlebury College, as well as a master’s degree in public administration from the University of Washington Evans School of Public Affairs. Joan also enjoys spending lots of time outside, especially hiking with her husband Don or racing her kids down the slopes. Sarah joins Washington Conservation Voters with a degree from University of Puget Sound in Sociology and Environmental Policy. During her time at University of Puget Sound, Sarah volunteered with the Surfrider Foundation coordinating beach clean-ups and community outreach. After college, she worked with Washington Conservation Voters as a Community Outreach Intern to elect environmental champions and later as a Climate Organizing Fellow to put Initiative 1631 on the ballot. 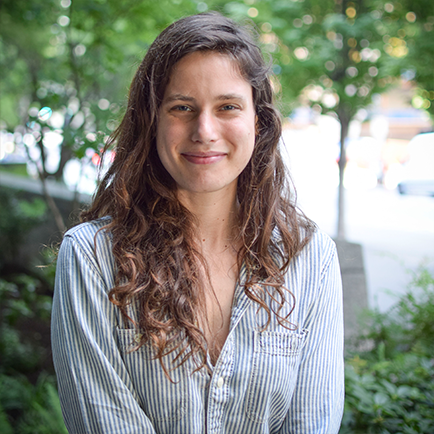 Sarah is passionate about advocating for environmental justice and is excited to start work as a Field Organizer. In her free time, Sarah can be found hiking, relaxing on the beach, and enjoying good food in Seattle. 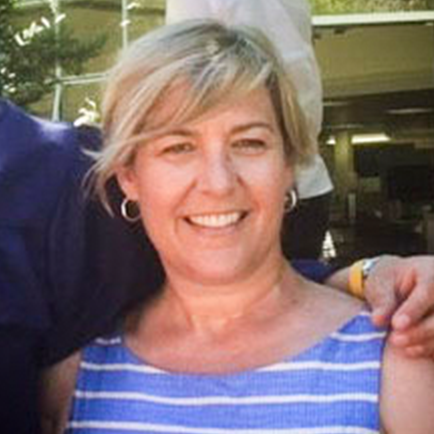 Julie relishes the variety of providing human resources and administrative support for WCV. From an early age, her family of seven lived up and down the West Coast, instilling a love for outdoor adventure wherever they landed. She has fond memories of growing up in Oregon, California, Alaska, and eventually Washington. Julie’s Seattle-based career choices are a veritable box of chocolates: social media strategist, small business owner, school registrar, and legal assistant. A life-long learner, Julie holds a BA in Social Sciences from the University of Washington, and certificates in Human Resources Management, Nonprofit Fundraising Management, and Social Media Strategy and Implementation. Julie is happiest meandering anywhere on a Northwest hiking trail. 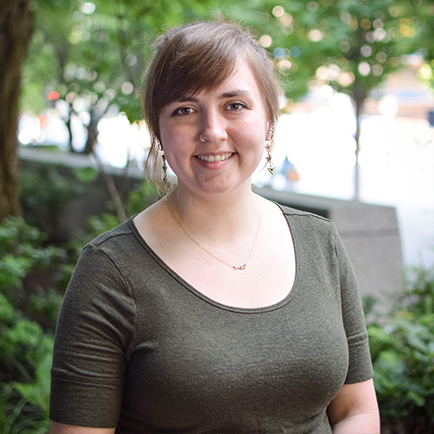 Katherine (Kat) Holmes serves as Field Director for Washington Conservation Voters. 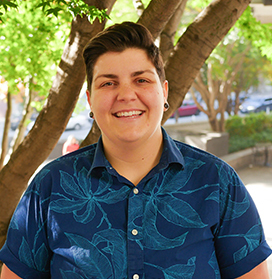 She fell in love with field work as an Organizing Fellow with Fuse Washington and is excited to develop grassroots power for the environment and work for climate justice throughout Washington state. Kat grew up in Kent, Washington, explored tide pools at Salt Water State Park as a kid and graduated with a degree in Biology/Ecology from Western Washington University. An educator and community builder at heart, she spent 15 years teaching martial arts and leading volunteer projects with Starbucks in Bellingham. 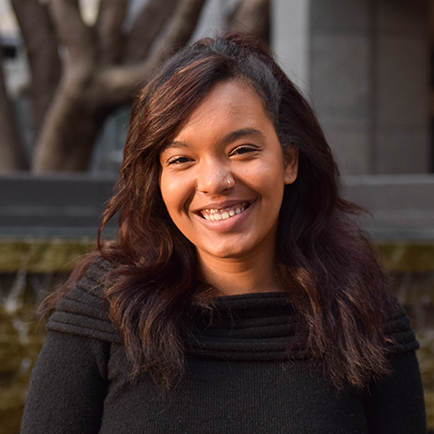 She moved back to Kent to be closer to her mother, became active with 350 Seattle and WEC and is ready bring a racial justice lens to environmental advocacy. Kat loves coffee, food, farmers, poetry and can be found training and playing outside in her free time. As a Development & Events associate, Shelby plays a pivotal role in the execution our key fundraising and outreach events. Born and raised in the Midwest, she chose to call Seattle home after spending several years organizing for U.S. and state legislature, governor and president in states from Iowa to California. Shelby is a graduate of Michigan State University where she studied public policy and politics. In her free time, you’ll most likely find her catching a class at her favorite cycling and yoga studios, enjoying live music with friends or chasing Pacific Northwest views. Tony joins our team from the Washington DC area via Eastern Washington. After Tony graduated from the nation’s top historically black university, Howard University, with a BA in Political Science, he began working in public service. A job with the Yakima Police Department brought Tony to Washington State where he organized the first ever department-wide training for LGBT rights and sensitivity. Tony fell in love with the Pacific Northwest and is passionate about taking an active role in keeping the environment beautiful for future generations and for all communities. Tony can usually be found in the gym, reading, and is particularly devoted to anything related to DC comics. Lauren manages foundation grantseeking activities for Washington Environmental Council and Washington Conservation Voters. Prior to joining WCV, she served as Grants Coordinator at El Centro de la Raza. 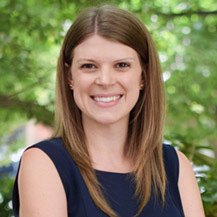 Lauren grew up in Seattle and holds a degree in Public Administration from Seattle University. She is involved in the local choral scene and serves on the board of the Byrd Ensemble. In her free time, Lauren loves to travel, bike, sing, and arrange vocal music. 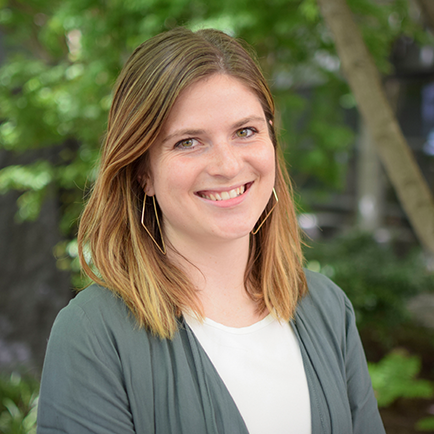 Emily joined WEC and WCV in early 2016 as part of the field team and is now the Political & Civic Engagement Manager for Washington Environmental Council and Washington Conservation Voters. Emily is from Seattle originally but got her career start in Whatcom County, where she worked at Re-Sources for Sustainable Communities and dove headfirst into the battle to prevent fossil fuel infrastructure in the community. She later gained experience in the political realm by managing a local County Council campaign before making her way back to Seattle. She graduated from Western Washington University with a BA in Economics/Environmental Studies. Emily spends her time when she is not at her desk enjoying the outdoors on skis, with running shoes, or on a bike, exploring farmers markets and happy hours around Seattle, and hanging out with her cat. 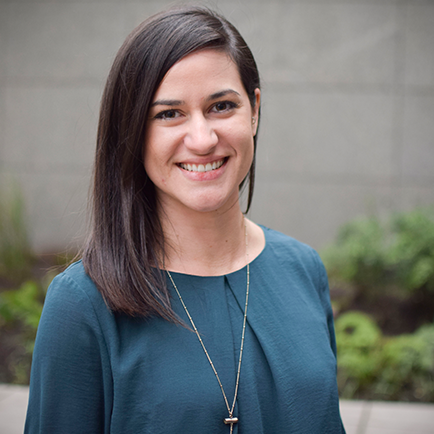 Rachel joined WCV after completing a Master’s of Communication at University of Washington with the Communication Leadership program, where she focused on visual storytelling. 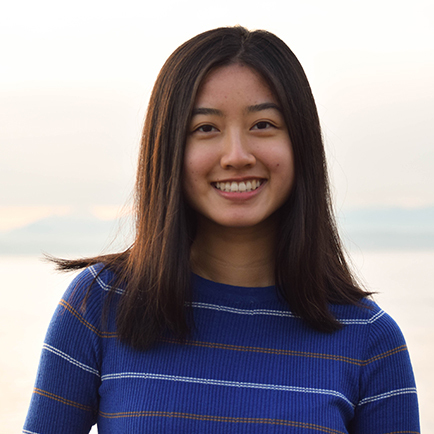 This choice of study was not random: during her time volunteering with UW Fisheries, she was drawn to the challenge of communicating about environmental science and policy. Rachel earned dual degrees in Neuroscience and Art at Pomona College. 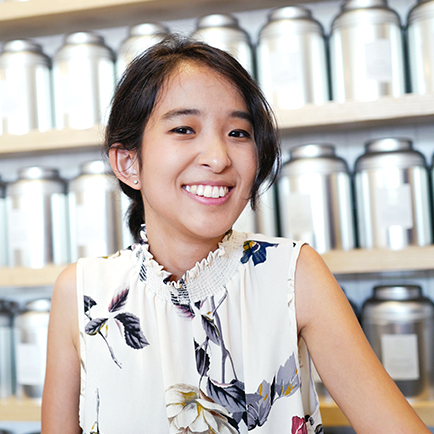 When not taking photos, filming, or working in Adobe, you can find Rachel brewing tea, drawing or painting, or playing the violin in an ensemble. 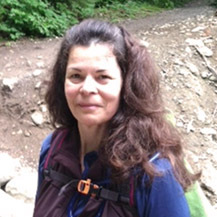 Kathy leads the overall fundraising and development activities for both Washington Conservation Voters and Washington Environmental Council and works with Joan Crooks and other members of the management team on strategic organizational development issues. 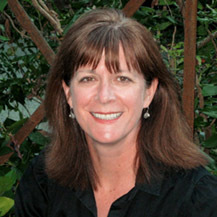 Kathy has over 20 years of fundraising experience, nearly all of it in the environmental sector. Having served as WEC’s Development Director for ten years, and after a seven year absence, she was inspired by the WEC/WCV partnership and was lured back to serve as the shared Development Director. Prior to this she worked as the Development Director for Resource Media, a nonprofit communications firm that specializes in environmental advocacy. During her tenure there she helped to nearly triple the organization’s budget, and as a member of the organization’s management team, established the structure and systems that successfully guided Resource Media through a period of rapid growth. Kathy is a graduate of Colorado State University and also has a certificate in Non-profit Management and Fundraising from the University of Washington. She and her husband are slowly remodeling an old home and restoring its gardens. When not pondering which native plants grow best in dry shade or how to repair a stone wall, they spend as much time as possible outside, exploring all of the great places to boat, ski, hike, and bike in Washington. 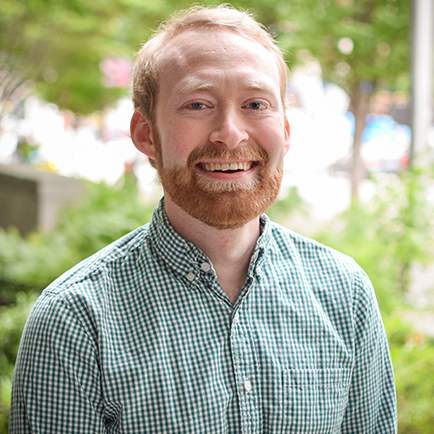 Nathan McCurtain is a field organizer with Washington Conservation Voters who started organizing work as a volunteer for Candidate Barack Obama in 2008. Since then Nathan has volunteered and worked on campaigns in the Puget Sound region until he joined the Washington Conservation Voters team. 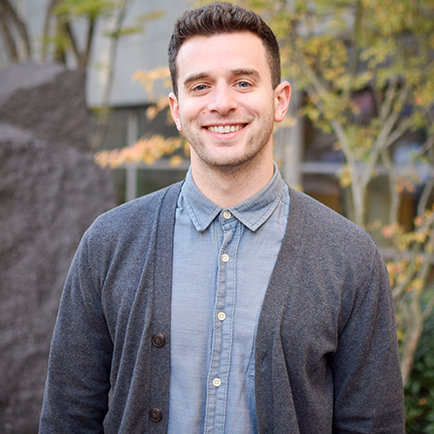 Nathan grew up in Puyallup, Washington and fell in love with the beauty and history of the area. He graduated with a degree in Political Science from the University of Washington and went on to study Law before joining initiative campaigns in Washington. After 14 years in Puyallup and six years in Seattle, Nathan has settled down in the Tacoma area where he connected with the Tacoma Tide Flats issue which brought him to WCV. Nathan enjoys tea, restaurant hopping, reading, and musicals and can be found enjoying the outdoors or glued to his computer depending on the weather. Morgan serves as a Field Organizer for WEC/WCV. Born and grown in the city of Seattle on Coast Salish territory, she decided to return after college to give back to the place that raised her. Morgan graduated with a degree in Archaeology and minor in Near Eastern Studies from Cornell University. A fan of experiential learning, she has worked as a trail builder, archaeological technician, organic farmer, vegan barista, and outdoor educator. She has organized with 350 Seattle developing and directing campaigns to mobilize people against fossil fuels and for climate justice, and with Plant for the Planet to support youth climate activism. She speaks passable Arabic, Spanish and Portuguese and loves learning new languages – so if you see her around, please don’t hesitate to strike up a conversation! Lucy joins the administrative team at WCV as the Salesforce Administrator and Data Systems Manager. Over the last few years, she worked various roles at another local non-profit, but ultimately developed an affinity for database management. She loves the intertwined connections, analysis, and visualization of data that can provide insightful information to increase effectiveness and efficiency in an organization’s mission. Outside of work, Lucy enjoys biking, camping, and swimming. 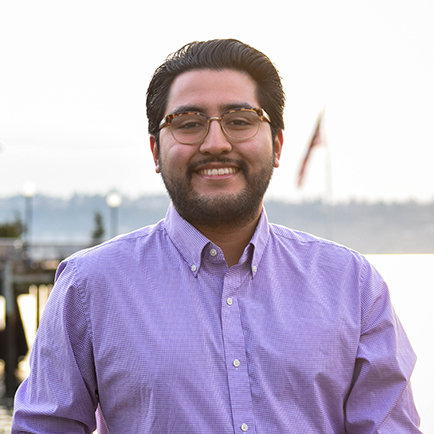 As an Administrative Associate, Colton assists with financial operations and provides administrative support for the Washington Conservation Voters. He’s a graduate of Seattle University and holds degrees in Economics and Finance. 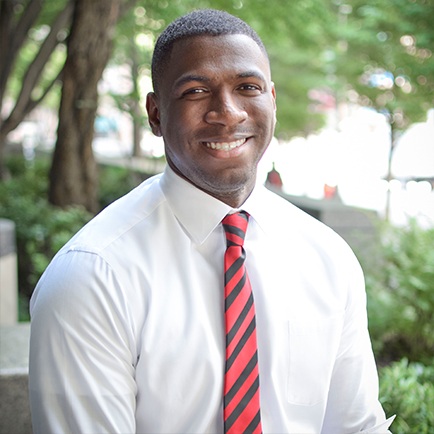 Prior to joining WCV, he interned with the Federal Reserve Bank of San Francisco and worked as an Accounting & Risk Management Analyst with a financial firm in Bellevue, WA. When not working, you can find him fly-fishing, climbing, or volunteering with various river restoration organizations. Tina has spent most of her career creating, launching and leading programs, community initiatives and events for a variety of clients. She founded and managed Surfin’ Seafood, a first-of-its-kind sustainable seafood home delivery service. After selling her business, Tina became involved with Smart Catch, a restaurant seafood sustainability program, with Paul G. Allen/Vulcan. 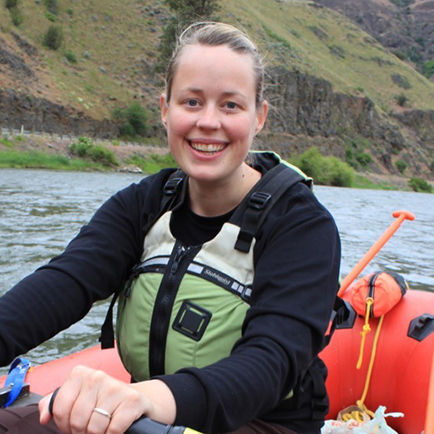 She hopes that her passion for connecting ideas, people, teams and community will contribute to WEC’s efforts to protect Washington’s environment. 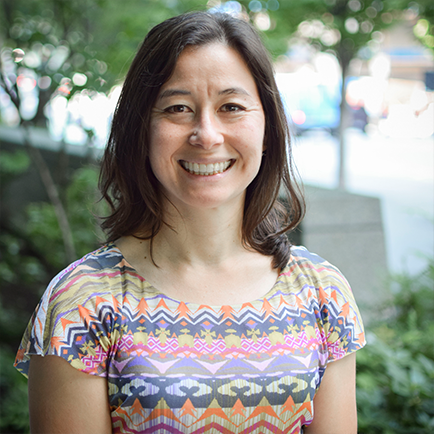 Tina has a bachelor’s degree in Communications & Political Science from University of Washington, spent time teaching English in Japan and, in her free time, loves to spend time with her two children, travel, hike, bike, ski and paddle. As President, Shannon develops WCV’s overall political, advocacy and electoral programs and leads their implementation. Shannon has over ten years of electoral and legislative campaign experience and has been with WCV/WEC since 2008, serving as President since 2014. She started as an organizer and then directed WCV’s coordinated political program and WEC’s nonpartisan Voter Education Program. Shannon is known for employing savvy, data-driven campaign tactics and has led many coalitions on voter engagement strategy. In 2012, Shannon managed Washington Conservation Voters’ coordinated effort to elect Governor Jay Inslee, dubbed the “greenest Governor in the nation,” and in 2013 was instrumental in WCV’s effort to elect an anti-coal majority to the Whatcom County Council, a nationally-recognized victory that showed a community’s mandate against coal exports in the Pacific Northwest. Before joining WCV/WEC, Shannon was the Field Director for the 2007 Sound Transit campaign and a 2006 Pierce County state legislative race. Shannon has a bachelor’s degree from Pacific Lutheran University in Tacoma, Washington. A native northwesterner, Shannon loves the outdoors and can often be found hiking around Mt. Rainier, swimming in Lake Washington, or running the Burke-Gilman Trail. 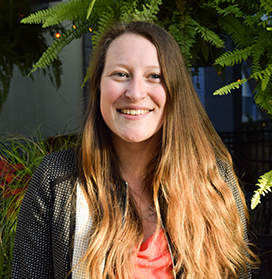 Kristi manages WCV’s digital strategy, online tools, website, and email communications and is a graduate of Seattle University with a degree in Environmental Studies and Biology. 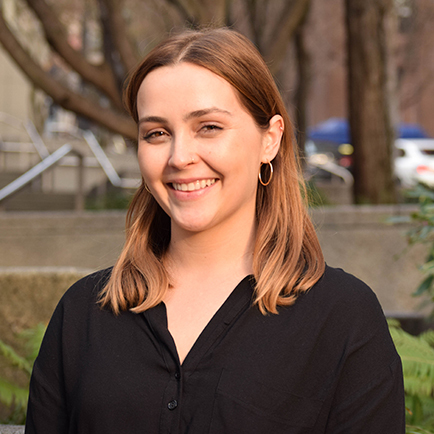 She was previously a climate campaign intern with Washington Environmental Council and also interned with King County’s Water and Land Resources Division. As a fourth generation Washingtonian and descendant of Japanese American incarceration survivors, Kristi brings a passion for racial and social justice to her work. In her free time, Kristi is an organizer with the Environmental Professionals of Color Seattle and enjoys crafting, cooking, Zumba, and finding the best happy hour on Capitol Hill. 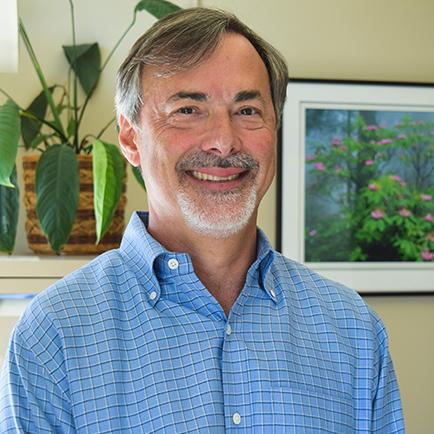 Darcy oversees WCV’s Government Affairs program and works to pass important environmental protections, implement and defend our laws, and secure public funding for essential environmental programs and projects. Darcy has more than a decade of experience in lobbying, law, and working with a wide range of partners to shape and advance strategies for positive change. She also has experience managing high-profile election campaigns in several states and worked with the AFL-CIO to create an affiliate organization for non-union households. Darcy has a bachelor’s degree from the University of Connecticut and a J.D. from Seattle University School of Law. When she is not in the office, Darcy is usually having fun with her family by gardening, whitewater rafting, hiking, camping, and cheering on the Sounders and the Green Bay Packers. Sean has almost 20 years of experience working for nonprofits, starting back in 1997 when he first worked for Washington Environmental Council as the Office Manager/Development Associate. Starting in 2001, he worked at an organization that provided technology consulting services to nonprofit conservation groups. Over the course of nearly a dozen years there, he mostly did administrative, bookkeeping, and HR tasks, with healthy dollops of IT support, fundraising support, Salesforce administration, and proofreading thrown in. He started working for WCV (and WEC) in January 2013 as the Administrative Director where he oversees the finances, office administration, and human resources. 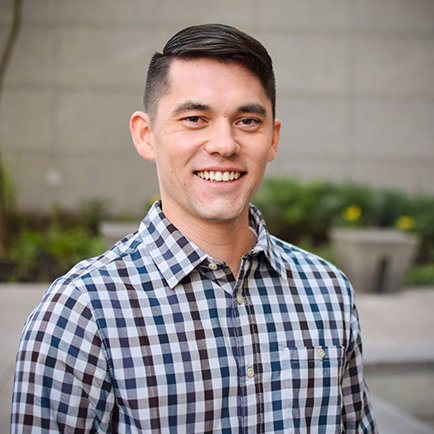 Sean has a degree in Political Science from Western Washington University and in his spare time he enjoys riding his bikes, reading non-fiction, and spending time with his daughter. 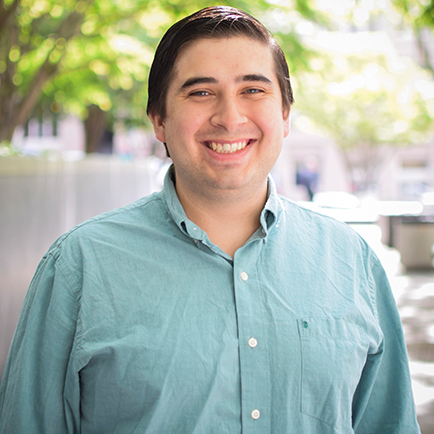 Griffin joined Washington Conservation Voters as a Development and Events Intern in February 2014 and was lucky enough to continue as part of the Development team after his internship ended. Griffin grew up on the Olympic Peninsula and then traded one side of Puget Sound for the other when he moved to Seattle to attend the University of Washington, where he received his degree in English and Political Science. You can find Griffin near the water, out on a hike, or enjoying a jog on any of Seattle’s many running trails. Clifford has been the full-time state lobbyist for both Washington Conservation Voters and Washington Environmental Council since November 2002. He is responsible for the state lobbying programs for these two statewide environmental organizations. Clifford has over 20 years of public and private sector experience both in Washington state and Washington, D.C. During his 11-year tenure in D.C., Clifford held positions as a political consultant; a staff member and congressional investigator for the House Energy and Commerce Committee, chaired by John D. Dingell (D-Michigan); and a federal lobbyist in the private sector for the Grocery Manufacturers of America. 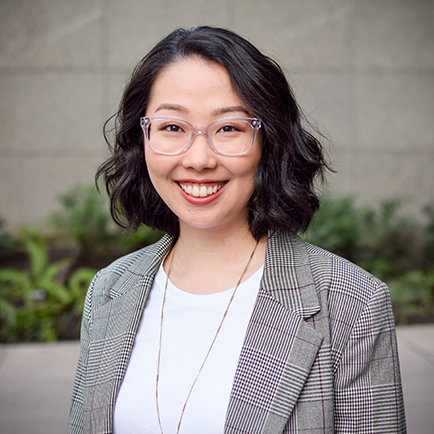 Since arriving in Seattle in 1995, Clifford has held senior level local government posts as a legislative assistant for Seattle City Council member Martha Choe and as the City of Seattle’s Director of Intergovernmental Relations under Mayor Paul Schell. He has also consulted on intergovernmental matters for the City of Seattle’s Department of Public Utilities. Campaign experience includes a role as Research Director on Patty Murray’s successful 1992 campaign for U.S. Senate. Clifford is a graduate of University of Kansas and lives in Seattle with his wife, three sons, one daughter, and two dogs. Clifford spends much of his time in Olympia lobbying on behalf of the environmental community Priorities. He works with lobbyists in the community and other Washington Conservation Voters staff to produce the weekly Hot List for the House and Senate every Monday during the legislative session. 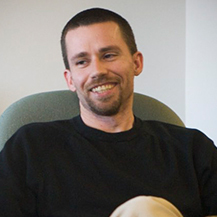 Estey is a native of the Greater Seattle area and studies Political Science and History at the University of Washington. On campus, Estey participates in the Interdisciplinary Honors program and advocates for UW student residents through the Residential Community Student Association. When she’s not studying, Estey enjoys cooking, baking, reading, and running. David is a current Senior at the University of Washington. Originally from San Diego, he moved to Seattle to earn his degree in economics and plans to attend law school in the future. David has contributed to the online encyclopedia BlackPast.org and volunteers with the Northwest Immigrant Rights Project. Outside of school and time at WEC/WEV, David enjoys hiking, golfing, practicing calligraphy, cooking, and going to Husky sports games. Cierra is a Seattle native and recent graduate of Bellingham’s Western Washington University, where she studied Environmental Policy. While in Bellingham, Cierra spent 6 months working with Whatcom Conservation District, teaching children and adults about water quality, watersheds and what they can do to be stewards to their watershed. While working with Whatcom Conservation District she fell in love with outreach and discovered how rewarding the connections formed when out in the field can be. Cierra is very passionate about conservation and loves talking to people about environmental issues. She hopes to someday work with communities that border national parks in improving protections for species that travel in and out of the park. In her free time, you can find Cierra hiking, climbing, skiing, fly fishing, eating good food, reading, and hanging out with her cats. Daisha is a recent graduate from Appalachian State University, where she studied Sustainable Development with a focus in Conservation Ecology. She has lived in many places across the world, but is happy to now call Seattle her home. During her undergrad career, she worked within the nonprofit sector with Wine to Water where she served as the Donor Communications Associate, and did service work in Nepal to be a part of the organization’s mission of bringing clean water to those in need. She also did field work with the Jaguar Rescue Center in Costa Rica for two months where she worked closely with wildlife biologists and veterinarians to release injured primates back into their natural habitat. In her free time you can find her playing with her two adorable cats, going to shows, reading, or walking around her job at the Woodland Park Zoo.